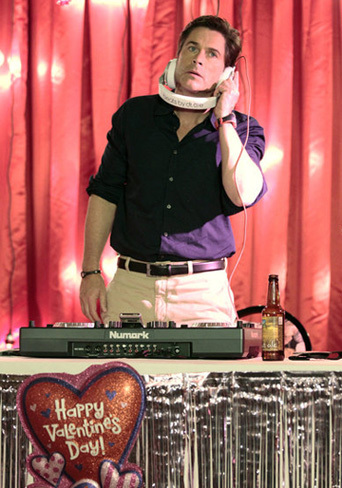 Parks and Recreation – Chris is bummed that he’s – lit-rally – alone on Valentine’s Day, while Leslie arranges a cool Valentine scavenger hunt for Ben, who needs Ron’s help to figure it out. 30 Rock – Liz and Jack wrangle over her new contract, while Kenneth looks for a new page assignment after getting the feeling his TGS cohorts are giving him the cold shoulder. American Idol – Auditions move to St. Louis, home of the Gateway Arch, which you have to take the world’s scariest, most claustrophobia-inducing diagonal elevators to ascend. The Office – Angela spawns. Project Runway All-Stars – The designers have to approach strangers on the streets of New York City, ask them for their clothing and then make new outfits out of them. The clothes, not the strangers, silly. Archer – Archer and the gang team up with Mounties to transport a Canadian terrorist on a train. Hilarity, of course, ensues. Fat Chef – In Cleveland an overweight chef and an overnight caterer try to deal with the issues that have plagued them partly because their jobs require being around food 24/7. Jersey Shore – The episode is described thusly: “Snooki deals with an uncomfortable condition.” Please don’t let it be something festering, requiring penicillin or both. The Mentalist – A clothing designer attempting a comeback is murdered. That – pause, remove your sunglasses a la Caruso – is truly a fashion faux pas. I Just Want My Pants Back – It’s a comedy about twentysomething slackers living in Brooklyn. Despite that, it’s actually pretty good. Watch What Happens: Live – Because, really, how can you not watch when Andy Cohen hosts Snooki and JWoww? – Chris Rock is the interview subject on Inside Comedy (11PM, Showtime). – Last Call with Carson Daly (1:35AM, NBC): Mario Batali.